Our dream to open a day center has come to fruition. From the beginning of Nasledie Heritage Foundation we wanted to open a center for children from troubled homes. Our goal was to minister to the children and begin to impact them and their families in a positive way. Often children in troubled homes end up in orphanages, this center is a way to help in order to prevent that from happening. Click here to see all posts about The Circle of Friends Day Center/JAM. Reopened under new name and new location! Praise God we were able to reopen the day center at our new location! Many kids came on the first day and continue to come on a daily basis for help with school work, a light lunch, friendships, love, and fun. The new program is now know as JAM(Jesus and Me). We are opening the center at a new location! God provide us with a permanent location for The Circle of Friends Day Center. Pray that God will provide the resources for this project and that the kids will be blessed by this ministry. 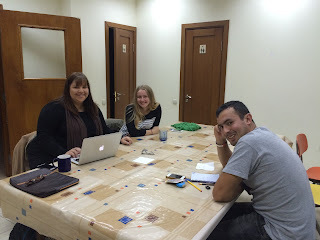 Masha, Lyuda, and Alek making plans for The Circle of Friends Day Center. We opened the center on the 17th!. 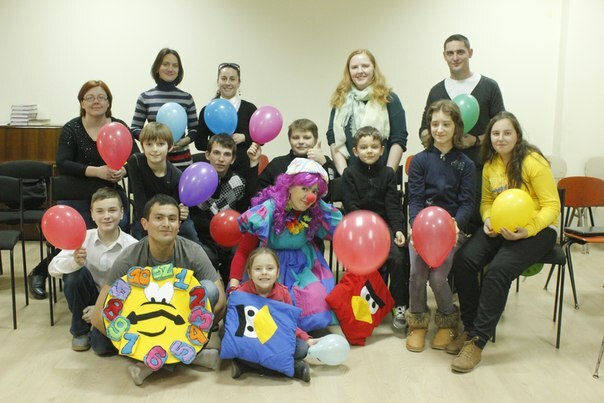 It was a great day for us and for the kids. Children identified as "at risk" were invited through social services and the school system. The first day there were eight children. There was a presentation, clowns, cotton candy, games, and an invitation to the next day. Consistently, fifteen to twenty children come each day from 1:00 PM to 6:00 PM. They first work on their school work and after that there are a variety of many different activities. 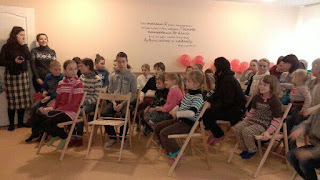 Several days a week we have a psychologist that works with them in a large group format, there have been English lessons, and a science experiment lesson. We are teaching Bible stores with Samaritan's Purse program The Greatest Journey. Of course, there is lots of time to build relationships with the kids while playing games and doing crafts. We have a sandwiches and tea each afternoon, too. Click here to see all photos from the Circle of Friends Day Center.